Warning: if you have not read The Reflectory, you might want to stop. This page contains high-level spoilers. Grab your copy of the novel on Amazon right here. ﻿Then come back when you reach "The End"! If you have any questions or comments on any of the photos below, I'd love to hear from you! The Pub, on the corner of Waterfront Drive and 1st Ave, is where Alex and Kate have lunch on Sunday. Alex works on his Latin translations at the first booth to the right of the bar while Kate steps out to walk the breakwater. This is a fun 'local' spot off the highway so you have to take a right from the strip and explore a bit. Stop in for a pint of his Surly Furious and grab a bite. Check out their Wall of Fame. The owner, Matt Davitt, apparently put up a photo of the author and his wife. At Alex and Kate's table. If you arrive in town early and want some coffee or a past﻿ry, Louise's Place is the perfect little spot. Located right behind The Pub on 1st Ave, this is where Kate grabbed her coffee while Alex was rummaging through the narrow aisles of Paige & Turner Booksellers. Paige & Turner Booksellers is not a real bookstore. In the novel, it is the section of building with the red roof to the left of the True Value Hardware sign. This is located right next to The Pub (in the book it's a little further down the street). The Two Harbors Public Library. ﻿Closed﻿ on Sundays in the book; closed on Sundays in reality. Great looking library, though. 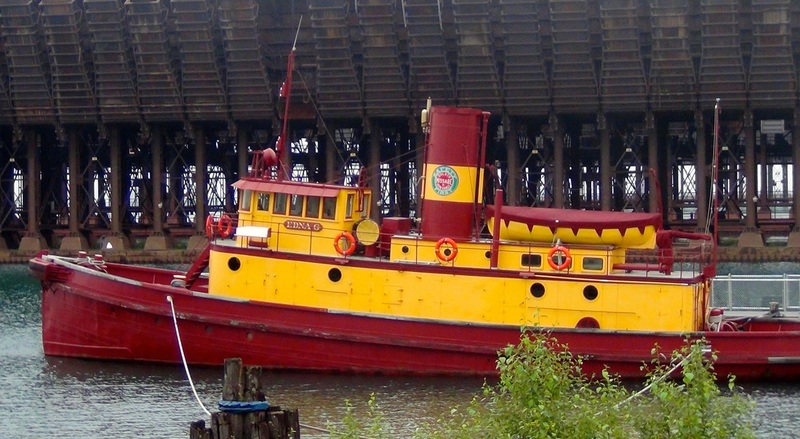 The Edna G tugboat referenced in the novel was built in 1896. In the book and real life, it was involved in several shipwreck rescues including the crew of the Madeira. She was the last of the coal-fired, steam engine tugs in service on the lakes. It is permanently located in the harbor next to the ore loading docks. Kate walked the Two Harbors Breakwater while Alex worked on his translation of John Mead's message. It's about a 40 minute walk to the lighthouse at the end and back from The Pub. A perfect, flat hike for after lunch. 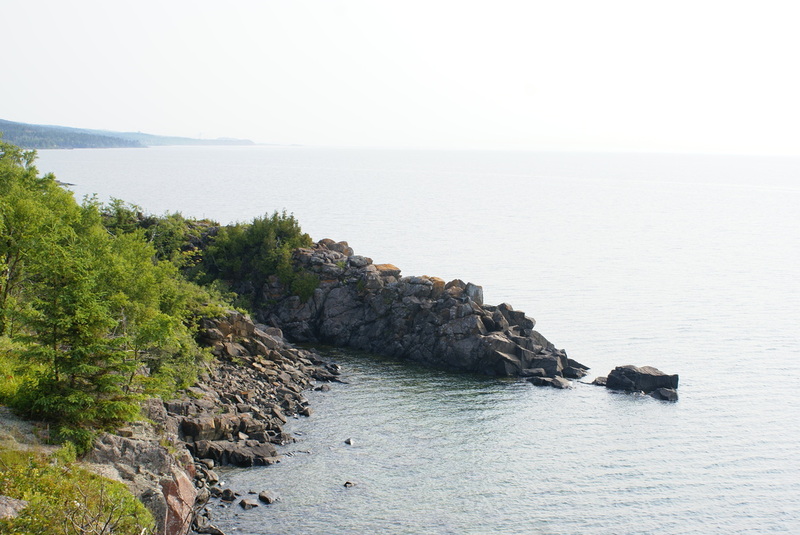 For more scenery, you can stroll a little further on the Sonju Trail, a paved mile walk that goes around the Two Harbors Lighthouse along the lake and through the woods. Alex and Kate catch their first glimpse of the lighthouse when the hike up to Gold Rock Point on Sunday evening. 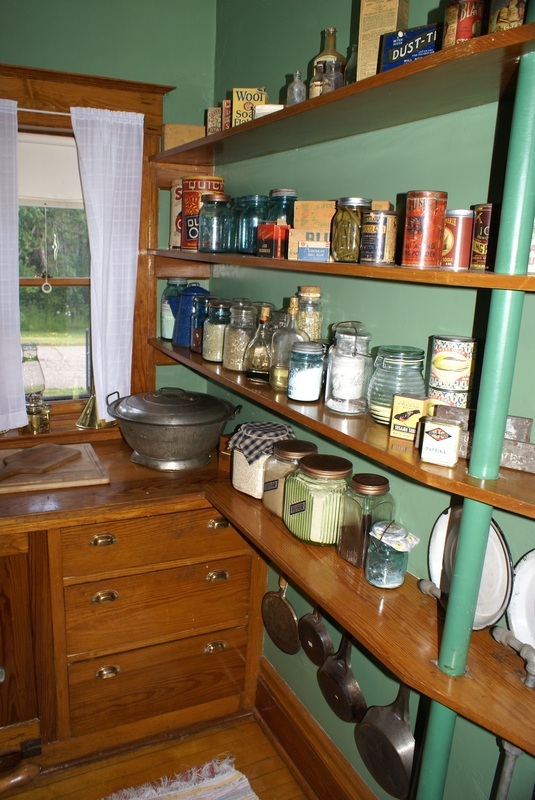 They tour the lighthouse and head keepers quarters on Tuesday. It is a prominent backdrop to the story and is mentioned in several chapters all the way to the end of the novel. Split Rock Lighthouse was decommissioned on January 1st, 1969. ... and the Head Keeper's wife. 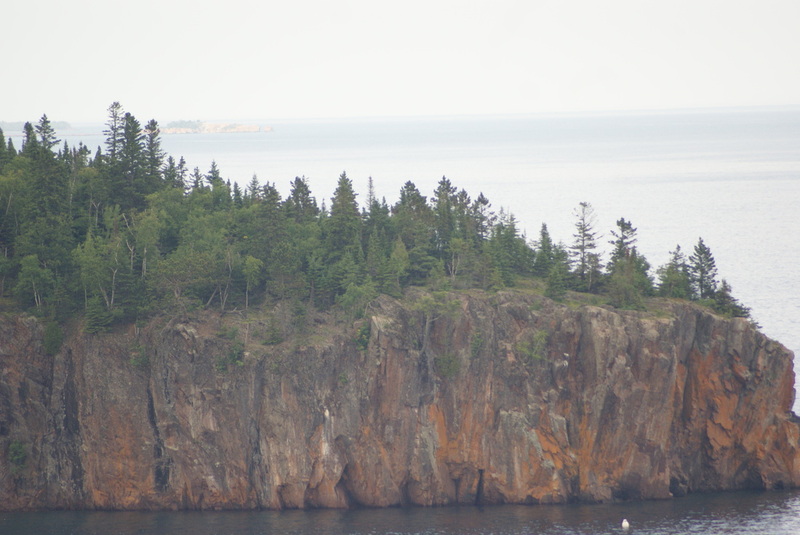 The photograph below was taken from Day Hill, part of Split Rock Lighthouse State Park. The lighthouse is barely visible in the bottom left of the picture. Love the storm clouds in the distance over Gold Rock Point. In the novel, this is the fireplace at Tudor House. 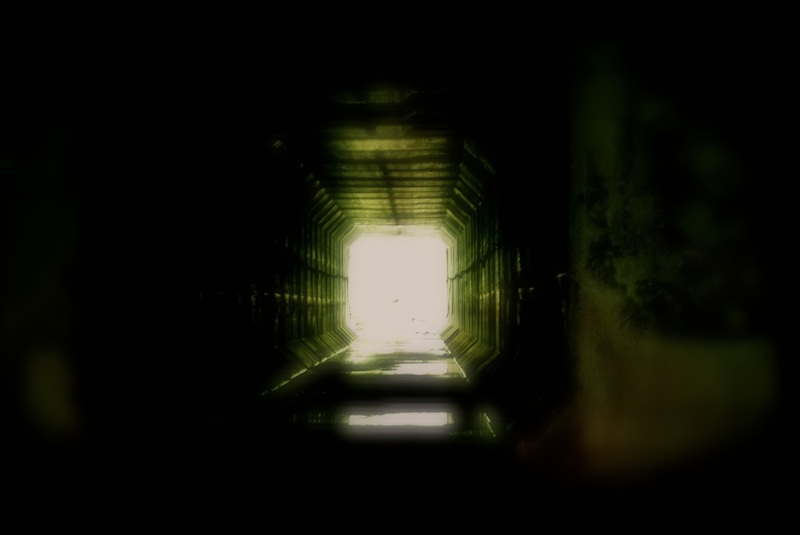 The real path to Gold Rock Point is very dark and mysterious in parts. A welcome clearing on an otherwise forbidding hike. In fact, the characters in the novel have a slightly easier hike! I do not recommended walking through this. For starters, the GRP parking lot is locked and only scuba divers with permission to dive the Madeira Shipwreck are given the key. 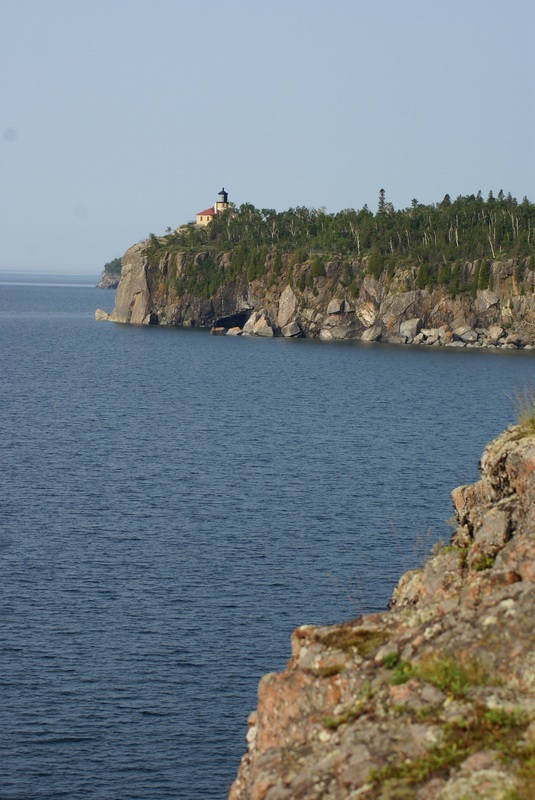 Visitors would have to park at nearby Split Rock Lighthouse and take the paved path. It isn't far if you want to get closer, but I'd stay off the point, if I were you. From atop Gold Rock Point ... there are beautiful sights all around. The buoy marks the Wreck of the Madeira. I'm not a scuba diver but if I were, this would be my first dive. I hear it's an incredible wreck to explore. 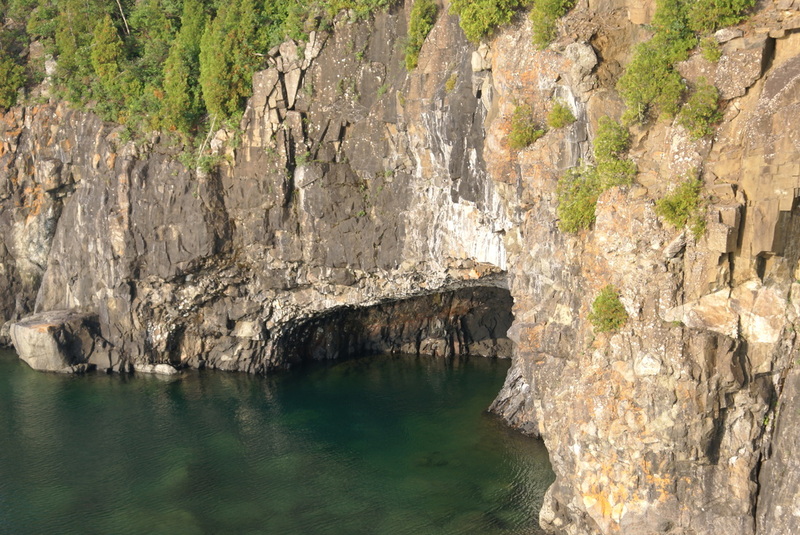 Here is the cove from a scene involving an antique Chris Craft, Alex, Paul, Erik, and Kate. 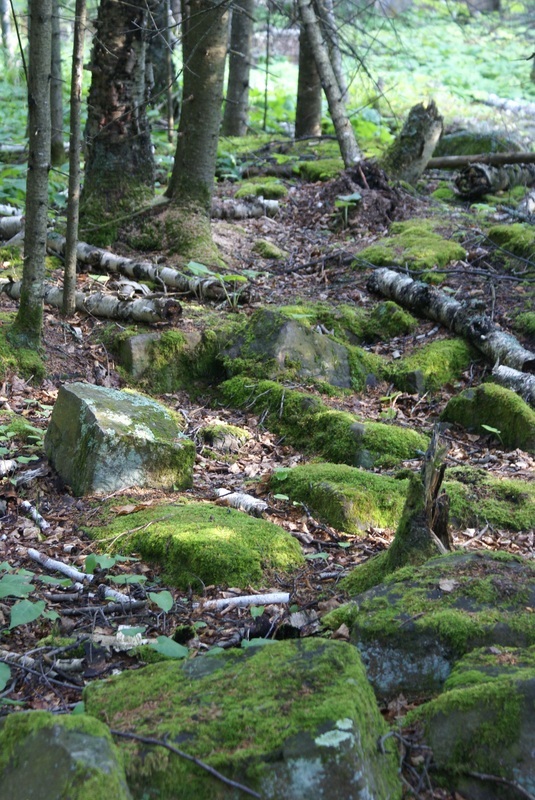 It is just as rocky but much less serene in the book. Okay, I won't say more (in case non-readers are sneaking a peak). In the story, I call this The Boxer Tree. 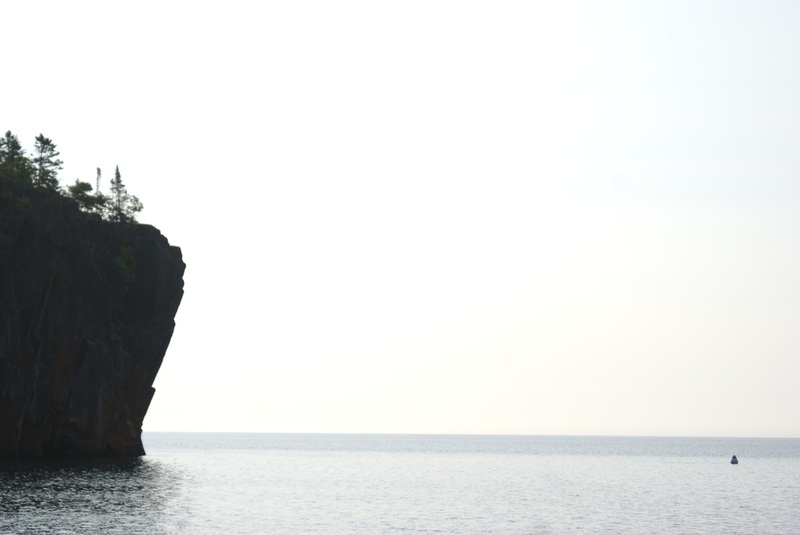 It perches on the edge of the cliff on the southwest side facing Split Rock and bears a resemblance to the famous Spirit Tree (aka Witches Tree) located further up the shore past Grand Marais. Except from the book: A solitary, wind-twisted pine stood next to Alex, and he wondered how long it had been there. No taller than he, it was gnarled, misshapen, and bore only a few meager clumps of needles. It would have been a pitiful excuse for a tree had it not survived here, alone, on this inhospitable precipice. As such it had an appearance of defiant pride, like that of a boxer. Its branches: arms, it's tufts of needles: gloved hands. And the seasons: rounds of a never-ending match. The little tree had faced its adversary head on. To underscore the dangers of the cliff, this boulder seems to float on thin air. Watch out. 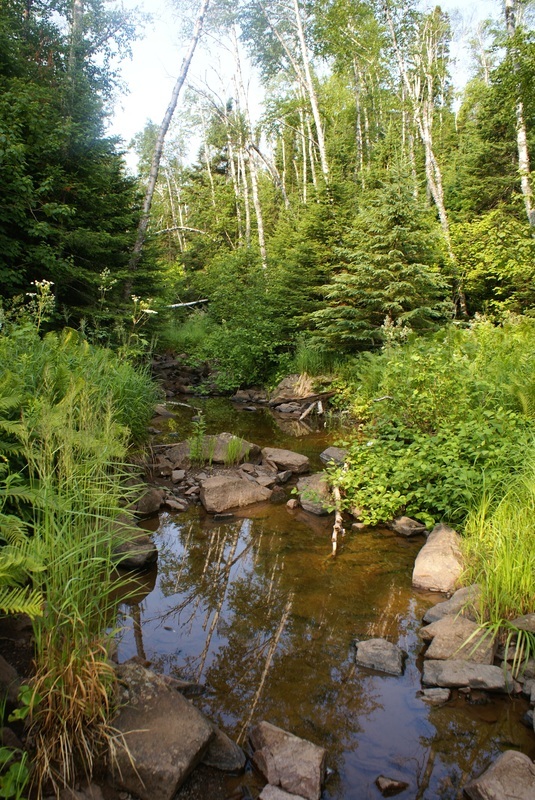 The inspiration for Stonebrook is this little brook (at right) that runs along the northern side of GRP. I'm not aware that it even has a name. The novel version is much larger than this. 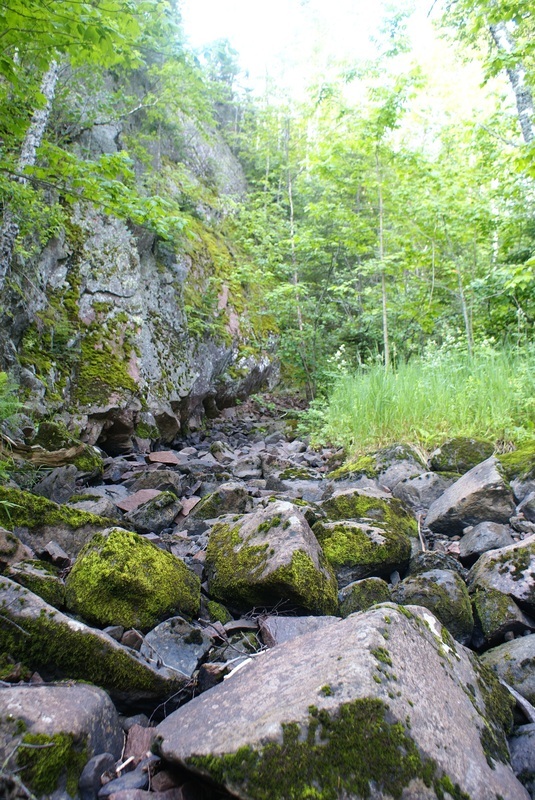 Another shot of the brook... this is during a summer dry spell. Below is the northeastern slope that leads to GRP. I've walked this a thousand times in my mind. In the novel, the path from Stonebrook Cottage leads to the point through these trees. I take great liberty in the book by actually taming it down, making it a little easier to climb. In fact, there's a section of the hill where I give the characters stone steps that do not exist here. See the photo underneath this one. 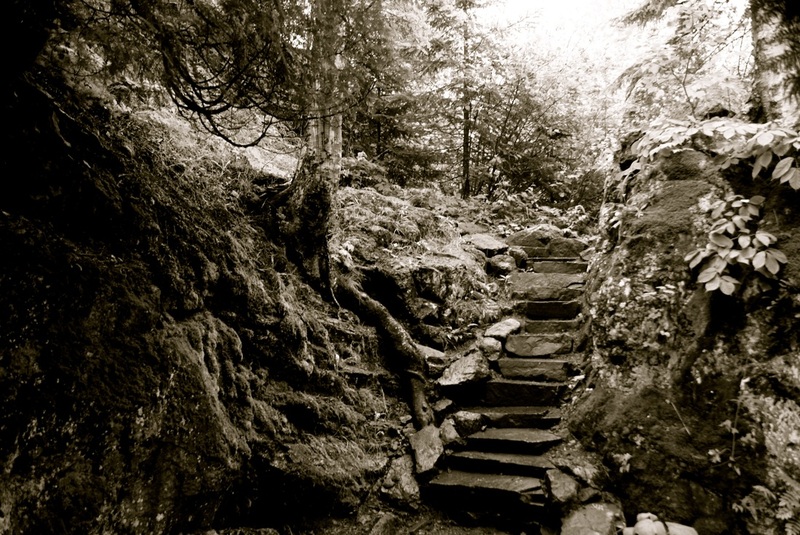 I call them The Reflectory Steps. Here's a bone. Okay, you're right, it has no connection to the story but, hey, I like it and it was right on my path! And here are The Reflectory steps. 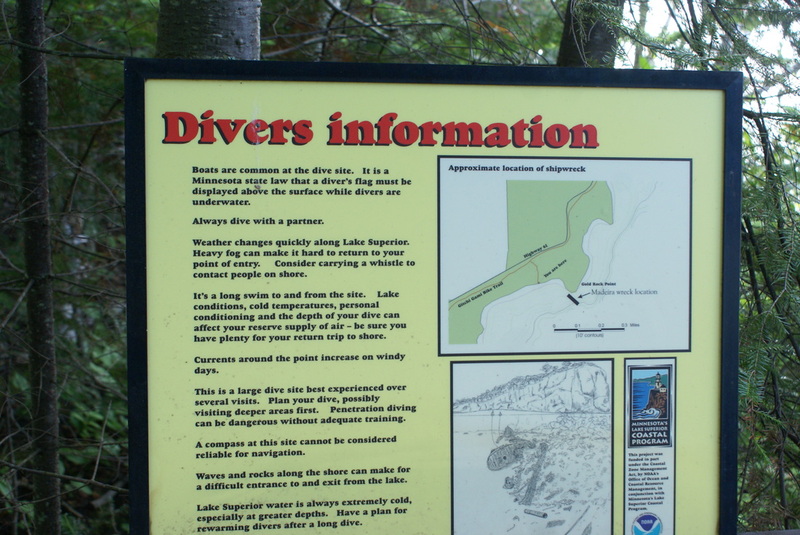 Their actual location is further northeast, along the Temperance River, about 1/8 mile in from Hwy 61. It is a paved and easy walk to reach them. 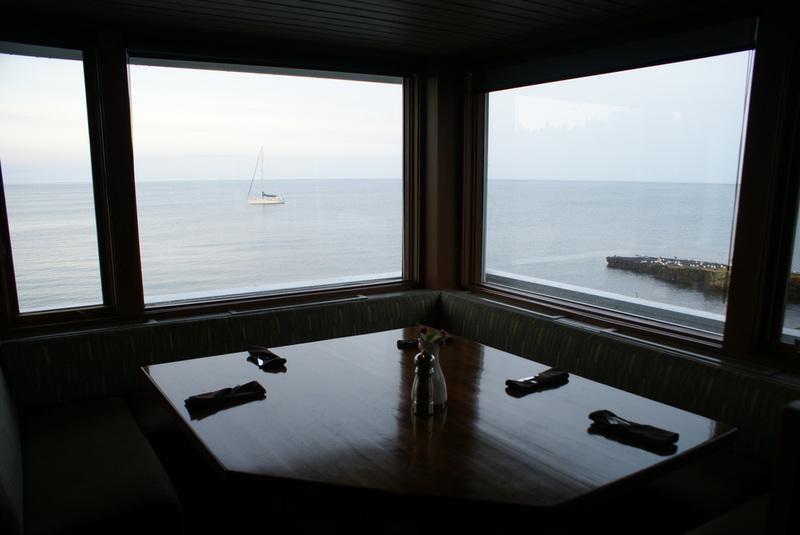 Temperance is right before you get to Tofte, MN (location of the Bluefin Grille scene from the story). Also pictured (top and bottom) are pieces brought up from the wreckage. On November 28, 1905, the Madeira, under tow of the steamer William Edenborn, was caught in a fierce storm with winds around 70 to 80 miles per hour, blowing snow onto the deck and kicking up huge swells. 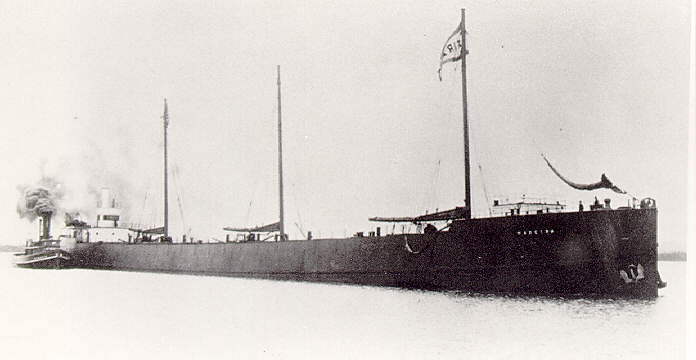 The ship slammed against Gold Rock Point and sank. The event is captured in The Reflectory and is a major historical reference point for the entire story. At right, the massive anchor of the Madeira is on display at the GRP parking lot. Below is the marker, located just off the point. Bluefin Grille is for real. And it's a a gorgeous little restaurant attached to Bluefin Bay Resort. Here is Salty. He's inside the front door as a greeter and has been there for years. To the left is him is the gift shop, where you can purchase copies of The Reflectory, and behind him are the stairs that lead to the upstairs portion of the restaurant (upstairs dining is often closed, btw). The wall just past the railing is where the Bryan Hansel photograph of Split Rock is located (in the book). Maybe the folks at Bluefin will get the framed work from Mr. Hansel and put it up? His work is amazing and captures the aura of the North Shore so well, which is why I included him in the novel. Salty. 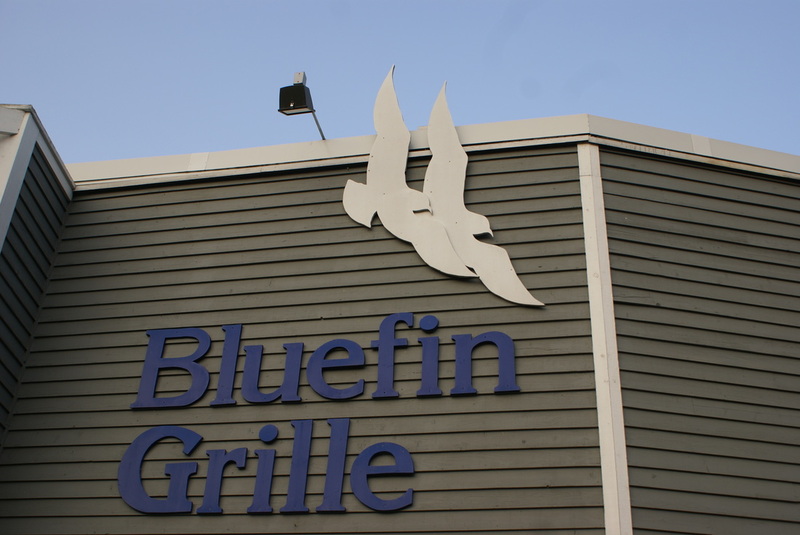 A Bluefin Grille regular for years. Alex and Kate were lucky to get the large booth upstairs in the corner overlooking the lake (except it was dark and rainy, so they couldn't see it, anyway). Erik has a labyrinth of trails between Tudor House and Stonebrook Cottage. While treacherous to others, he knows every rock, root, and fallen tree and can run along his routes even in pitch darkness. 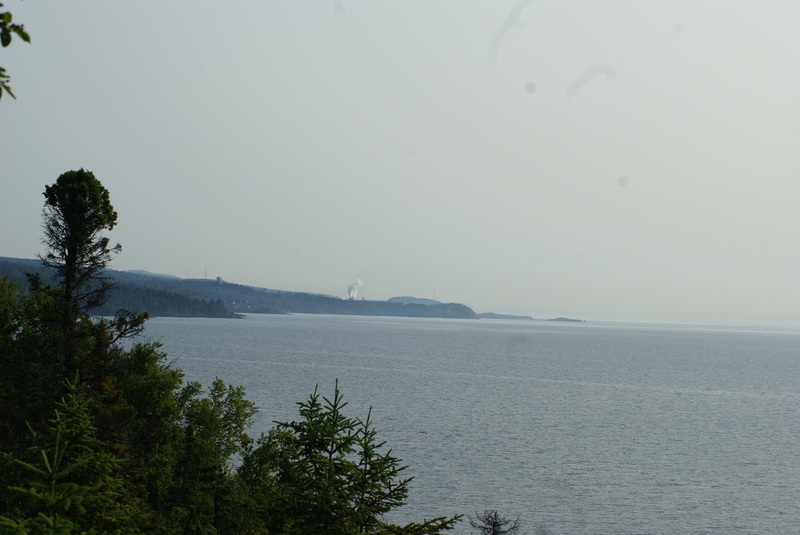 Below is Gold Rock Point, as seen from Split Rock Lighthouse. In the novel, it has a higher cliff face but is otherwise the same. Can you spot the Circle of Trees? As Paul does in the novel, the DNR places wire cadges around white pines. A section of the old drive to Tudor House, now overgrown, becomes a familiar route to Alex and Kate. A cave. All I had to do was move it a bit, shrink the opening, and add a couple sentries. And last, a real tunnel under highway 61. So close, so symbolic. This cool shot was taken under Hwy 61. The little brook that is Stonebrook flows through here.